Enjoy a taste of China this summer. 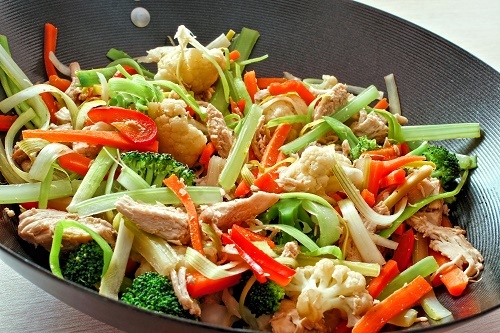 Heat the oil in a wok or large frying pan. Add the chicken and cook until barely golden. Add the remaining ingredients, except the sugar peas. Continue cooking until the carrots are tender. Add the sugar peas and serve hot.